Microsoft HoloLens lets designers quickly test numerous design elements in a mixed reality environment. Games such as “Pokemon Go” have taken the realm of augmented reality mainstream, bringing fictional creatures into a virtual version of the real world. Designers at Ford are experimenting with something similar, except instead of trying to capture a rare Mewtwo, they are using it to design new cars, bypassing the expensive and time-consuming traditional step of clay models. 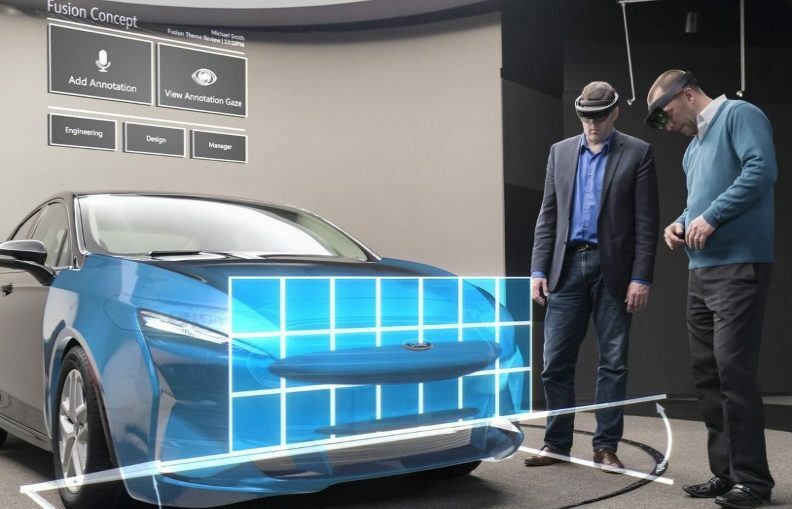 Ford designers have been using Microsoft HoloLens in their Dearborn, Mich. studios for the past year. 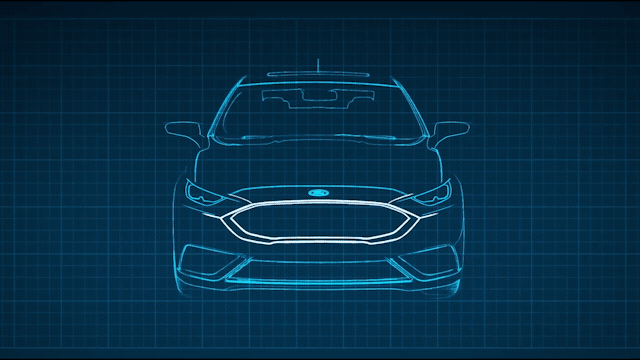 Now Ford is giving the technology to designers all over the world to help accelerate the design process. HoloLens uses a wireless headset, somewhat like Google Glass, to superimpose a virtual design on top of an actual vehicle. This lets designers see how their ideas will look in the real world, as they can walk around an actual car and view their designs from any angle they choose. They can also change design elements instantly, which is much faster than creating physical representations of mirrors, headlights, etc. to compare and contrast. Ford refers to these virtual models as holograms. This isn’t exactly accurate, as Merriam-Webster defines a hologram as “a three-dimensional image reproduced from a pattern of interference produced by a split coherent beam of radiation such as a laser.” But the appearance of the virtual model as seen through HoloLens technology is quite similar to what we would expect a hologram to look like without the virtual reality headset’s assistance. Ford hopes to expand the use of this technology to engineers as well as designers. This will make it easier for them to design collaboratively, assuring that cars meet functional requirements and are aesthetically pleasing. We’re not quite to a point where we can summon an Emergency Technician Hologram in the form of Robert Picardo from Star Trek: Voyager to appear and say, “Please state the nature of the automotive emergency.” But with technology such as Microsoft HoloLens becoming more common, we may be closer than we think.